The Oreo update with Samsung Experience 9.0 has been rolling out for the Galaxy A8’s 2018 serious for quite a time now. If you haven’t received the OTA yet, it means either it’s not available for your country or region yet, or you have rooted your device. In this tutorial, we’ll see how we can update Galaxy A8 to Android 8.0 Oreo (SM-A530F) by installing the Oreo firmware manually. 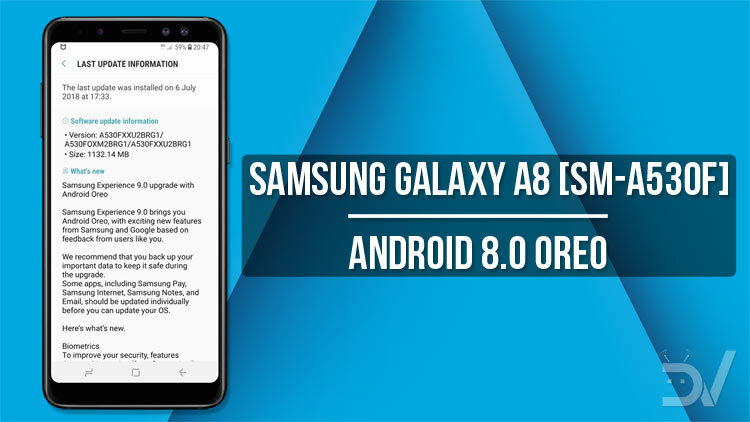 Android 8.0 Oreo update for the Samsung Galaxy A8 SM-A530F will upgrade your phone’s current UI version with the Samsung Experience 9.0 which brings exciting new features. Besides some graphical tweaks in the user interface, the new update will make your device faster and more power efficient. Among the major changes, you’ll notice after installing the Oreo firmware include Galaxy S9+ like camera interface and Dolby Atmos audio support. If you want to start enjoying Android Oreo on your Galaxy A8 SM-A530F right away, just follow the steps described below. You can also use this tutorial to fix bootloop, unroot your device or restore it to stock. While the firmware downloads, here are a few more things to do before you update Galaxy A8 to Android 8.0 Oreo (SM-A530F) manually using Odin. Install the latest Samsung USB Drivers on your computer. Enable USB Debugging and OEM Unlock options found under Settings> Developer Options. 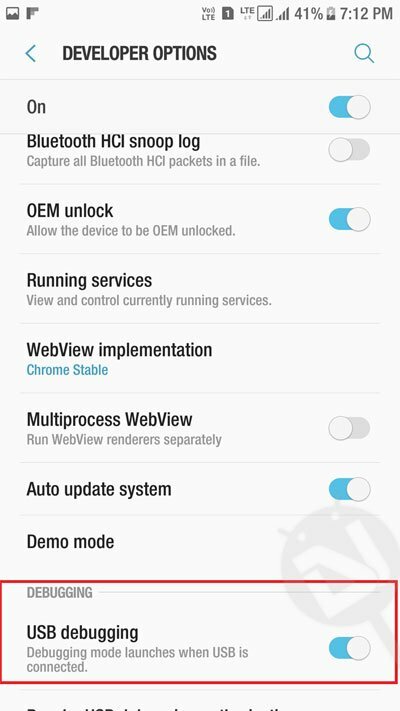 Follow this guide to enable Developer Options on your Galaxy A8. Installing the new firmware won’t affect the apps files and other data on your device. However, we still suggest that you take a backup of everything as a precaution. Your Galaxy A8 must be sufficiently charged to have at least 60% of battery juice. We published a detailed tutorial for installing the stock Android 8.0 Oreo firmware on the Galaxy A8 Plus just a couple of days ago. Since the firmware installation procedure is the same for all Samsung Galaxy devices, please jump to this guide and follow the instruction given there.